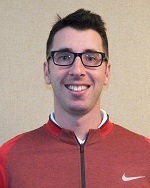 Josh is entering his third season as PGA Head Golf Professional at Smoke Rise Country Club. 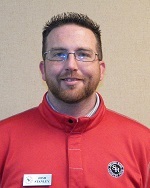 Josh is a Class “A” Professional who oversees the entire daily golf operation and is a key contributor to making every golfers’ experience a memorable one. Prior to joining the team, Josh was the PGA Head Golf Professional at Woodloch Springs CC in Hawley, PA. During his career, Josh has spent time as an Assistant Golf Professional at such well-respected clubs as New Haven Country Club in CT, Grayhawk Golf Club in AZ, and The Manor Golf and Country Club in GA. Josh is a Connecticut native and a proud UCONN Alum. He looks forward to serving you this 2018 golf season! Josh was born and raised in Atlanta, GA and attended North Druid Hills High School. He became interested in golf at a young age after going to a driving range with his father. Although, he lettered in many sports in high school, golf was not one of them because it was not offered. Josh then decided to go to LaGrange College where he was able to obtain a NCAA DIII golf scholarship. After playing for LaGrange for a year, he was offered a scholarship at the NCAA DII Clayton State University. While at Clayton State, he was chosen to represent the university at the Boyd Quaich Memorial Golf Tournament, in St. Andrews Scotland. Josh graduated from Clayton State University in 2015 with a B.B.A. in Management with minors in Supply Chain and Marketing. Josh is entering his fifth season here at Smoke Rise and looks forward to serving you in 2019!